Nearly every day brings us news of events and personalities that surely must be unprecedented in American culture, but actually very little is completely new. Certainly, the spectacle of athletes or others using public events to call attention to social or political issues can be startling, but such actions have a rich history in modern America. Thanks to a University Library subscription, current Washington and Lee University students, faculty, and staff have online access to America: History and Life, a database which focuses on the literature in history-related academic journals on North American history. A search in that database on protests or demonstrations by athletes yields this list of over 50 journal articles and other sources detailing fascinating events dating back over 100 years. 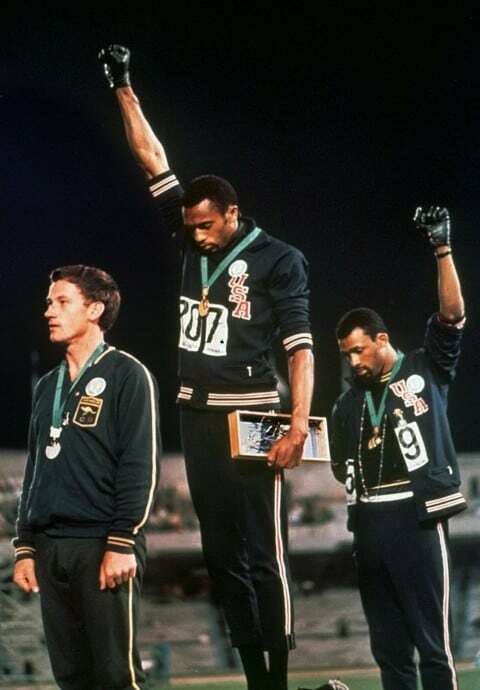 Please note that next summer will mark the 50th anniversary of what is probably the most famous such protest, the “black power” salute of John Carlos and Tommie Smith at the 1968 Olympics.